British Council – IELTS Award, 2019 is offered for Bachelors, Masters degree in the field of Any subject offered by the universities. You can apply to this scholarship here. The deadline for the sending your application is 10 Jun 2019. This scholarship is provided by British Council and the value of this scholarship is Partial Funding, Provides from £3,000 up to a maximum of £10,000 . This scholarship is open for: Open to all nationals. The British Council is offering scholarships to IELTS candidates to pursue undergraduate and postgraduate programs all over the world. The applicants of British Council - IELTS Award, 2018 should be 18 years of age or above on 30 June 2019. Candidates must have taken an IELTS test at a British Council center in Germany and must have got an official Test Report Form (TRF) issued by the British Council and the TRF should be dated between 2 June 2018 and 10 June 2019. A minimum overall band score of 6.5, plus a minimum score of 6.5 in each of the four components of the IELTS test must be achieved by the student. Students must be planning to enroll in the 2019-20 academic year on either a full-time undergraduate or postgraduate programme taught in English at a university or other institution of higher education in Germany or abroad. The university must be accepting IELTS as part of its admission requirements and the tuition fees of the programme of choice must be a minimum of £3,000 for one academic year. Candidates applying for British Council - IELTS Award, 2019 should be able to submit the letter of acceptance from the relevant educational organization by 30 June 2019 at the latest. The recipient of IELTS Award 2019 will get a minimum of £3,000 up to a maximum of £10,000. The last date to apply for the British Council - IELTS Award is 10th June 2019. Application was submitted in May, 2019. Application was submitted in April, 2019.
am from uganda and i want to be helped to get my bachelors in uganda,what can i do? When is the deadline of British Council – IELTS Award, 2019? For which degree is British Council – IELTS Award, 2019 offered for? For which field is British Council – IELTS Award, 2019 offered for? 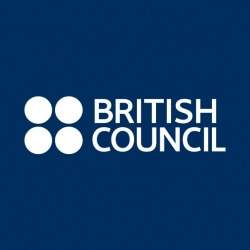 Who can apply for British Council – IELTS Award, 2019? Who is offering British Council – IELTS Award, 2019? What is the funding covered in British Council – IELTS Award, 2019? Where can British Council – IELTS Award, 2019 can be taken at?